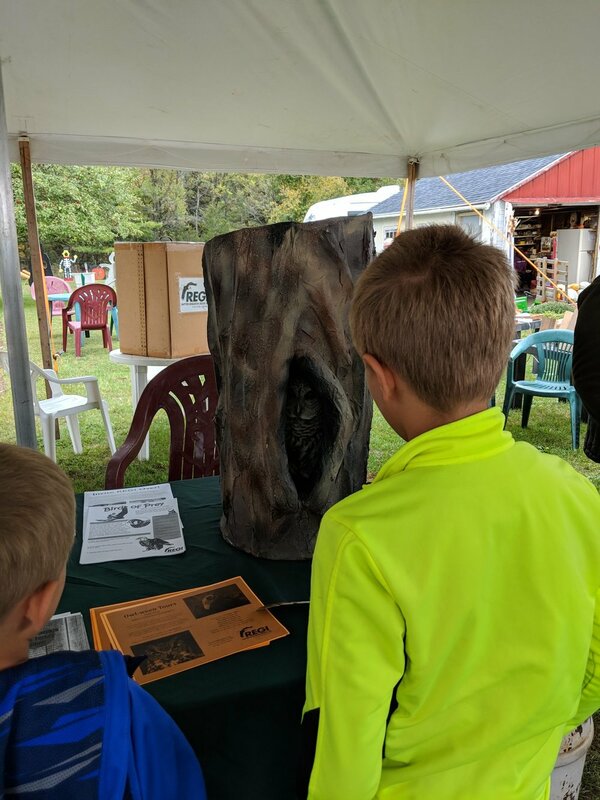 REGI at Reinke’s Down on the Farm — Raptor Education Group, Inc.
Last Saturday presented us with some chilly, but comforting fall weather as REGI ventured down to Wisconsin Rapids, Wisconsin. 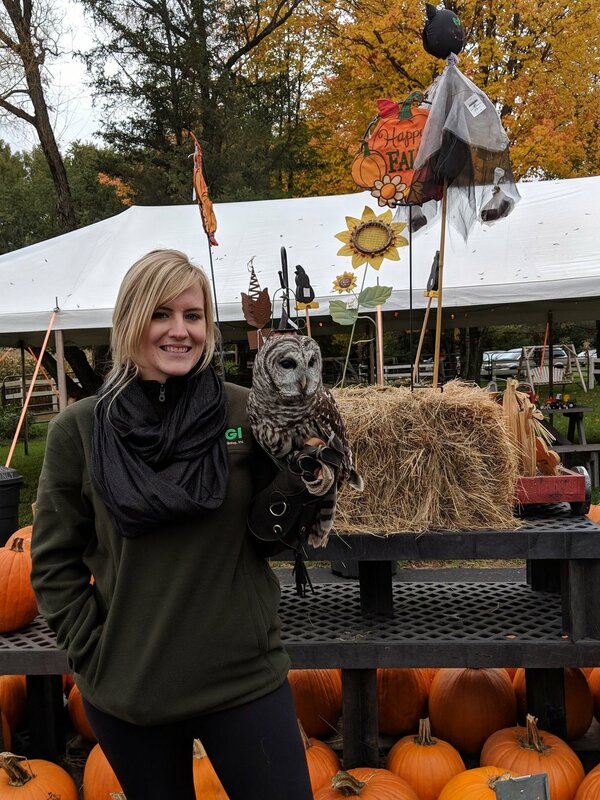 REGI brought many feathered friends to Reinke’s Down on the Farm, for a truly amazing experience. While there REGI was given the privilege of meeting some wonderful Reinke family members as well as some amazing Wisconsin Rapids community members. Thank you all for attending and thank you for all who donated. Your generosity and excitement did not go unnoticed. We look forward to making the trip again next year! At Reinke’s Down on the Farm. With Katie Ibsen at Reinke’s Down on the Farm. With Hope Marie at Reinke’s Down on the Farm.